“Can’t we just keep getting together?” Did you ever hear a teacher request more meetings? But someone actually posed this question yesterday as 6 colleagues and I wrapped up our final discussion of the book Setting the Standard for Project Based Learning. Seriously, when I want to grow as a teacher, I have found the most effective approach is a book discussion. All it takes is a good professional book, a couple of colleagues who are interested in exploring the topic, and about 7 weekly 1-hour meetings. The time commitment may seem daunting, but I find the conversations energizing professionally and socially, and the learning sticks, which means my teaching improves, students are more engaged, and I find my job more rewarding. What's to lose? It all started about 10 years ago when a colleague recommended Cris Tovani’s book I Read It, but I Don’t Get It: Comprehension Strategies for Adolescent Readers. (I had just complained, “I wish there were a reading equivalent to the 6 traits of writing, because it has revolutionized my teaching of writing to be able to break it down into constituent parts. But when a student wants to get better at reading, all I can say is ‘practice.’”) I ordered the book and read it in about 3 big gulps, thinking the whole time, “Oh, I could do this…and this…and this….” And by the time I’d finished it, I realized I’d just read about 73 fantastic ideas, and I couldn’t remember a single one with enough clarity to actually use it. I should probably go back and read it more slowly, taking notes…but I suspected I wouldn’t summon the solitary discipline for that. I was talking about the book to my English department buddies, and one said, “Why don’t we all read it together?” So we met over the course of as many weeks as there were chapters, each week discussing one of the chapters. It was such a great experience, I’ve repeated it about twice a year since then. The schedule slows me down so I don’t finish the book in a week but spread it out over time so I can work on applying it bit by bit. The discussion helps me process the ideas and really incorporate them into my thinking. The accountability is motivating: we set a personal implementation goal at the end of each session which we report on at the beginning of the next one. The collegiality is energizing. I can read a book or attend a conference on my own and work to implement what I’ve learned. But when I’m daily meeting colleagues at the coffee pot or the copy machine who are saying, “Hey, how’s that thing going you were going to do in class?” it exponentially increases the ideas and energy circulating around a topic. All this requires is a good book, a handful of interested colleagues, and the time commitment. I’ll give you a couple of tips about format I’ve found helpful, and then a list of the books I’ve read in this way. Then if you’re feeling the urge to explore a new area of pedagogy, grow in some area of your practice, or foster collegiality, I’d encourage you to try a professional book discussion. What kind of schedule? What works for me is 7 one-hour meetings once a week after school. We start with 15 minutes to report in on our last goal, take 30 minutes to discuss the chapter, and wrap up with setting new goals. This time I got smart and made a Google Doc where I could scribe the answers (see below). Then to email reminders of the next meeting, all I had to do was email collaborators. Also, anyone could check their goal any time. See below for a template that could be used for any book discussion. We minimized facilitator preparation time by using a discussion protocol from a previous book, Making Thinking Visible, called Connect-Extend-Challenge (see below). Depending on the size of the group, we did turn-and-talk with a partner, or just whole grouped it. • How are the ideas and information presented connected to what you already knew? • What new ideas did you get that extended or broadened your thinking in new directions? • What challenges or puzzles have come up in your mind from the ideas and information presented? We know that students need to process their learning—talk about it, elaborate on it, apply it—for it to really stick. Guess what? Teachers do, too. 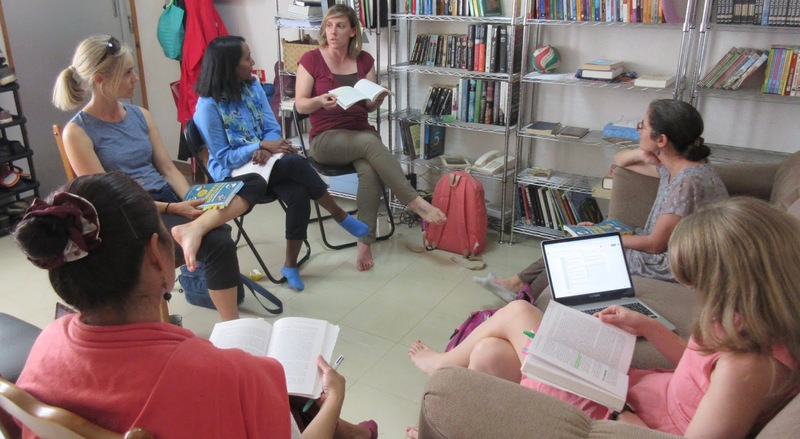 Learn, process, connect with colleagues, and grow as a teacher: try a teacher book discussion. When we wrapped up our unit on the novel After Dark, for which the essential question had been “What is empathy and why does it matter?” students wrote beautiful reflections about how the unit had taught them to withhold judgement and be curious about other people’s stories. Then I introduced the next unit on the drama A Doll’s House, complete with a bridge from the previous unit by showing Brene Brown’s 3-minute video on empathy vs. sympathy and the essential question “Why would a reasonable, rational, normal human being do that?” That very helpful question I had picked up several years ago from a conflict management book, Crucial Conversations (chapter 8), realizing that while it is an essential life-skill tool, it is also a perfect drama-interpretation tool. In a drama, like in real life (and unlike in most novels), there is no narrative voice to give editorial commentary (“Edith had always been a solitary child…”) or dive inside a character’s head (“Edith hated it when he said that…”). All you have to go on is what the character says and does, or what others say about him/her. And if you’re an actor, you have to construct a believable character with a backstory and realistic motivations from that. Since I’ve started hearing about SEL, I’ve had a feeling that it could provide the research base and some well-tested tools for implementing the philosophy Christian education has been propounding for all my 30+ years in the field—that children are many faceted image bearers of God, full of many kinds of potential, all of which we need to develop so we can all live as God intended—embracing our gifts, in community, caring for creation. In addition, I suspected it might embrace many of the skills and themes I address in language arts classes. Thus when the opportunity came to attend a 4-day IFSEL (Institute for Social and Emotional Learning) institute last weekend, I jumped at it. It was an excellent experience—one that I’ll be unpacking for many blogs to come. So what I want to capture for now is that my instincts were right. There is research to show that SEL isn’t another “extra,” but it is based in neuroscience, it supports academic learning, it does “stick” and transfer, and every $1 invested to support SEL development provides $11 in long-term social and economic benefit to society. There are also well-developed “tool boxes” for students (such as Check-In for empathy and compassion, Win-Win Solutions for group problem solving, Put-Ups for encouragement, and the De-Escalator for checking assumptions and instigating forgiveness) and for teachers (such as questions for personal and social insight, group design and collaboration, and appreciation and acknowledgment). There are also many strategies and activities for teaching and applying each tool. Finally, I was affirmed in that, as in the story at the beginning of this blog, any time we literature teachers help students grapple with the big questions of literature about who am I, who is my neighbor, what’s wrong with the world, and so what? we are addressing the core SEL competencies of self-awareness, self-management, social awareness, relationship skills, and responsible decision making (CASEL.org). Similarly, whenever we teach the thinking and communication skills inherent in our classes—active listening and curious questioning for discussing; and imagining occasion, audience, and purpose for effective writing and speaking—we are addressing those same core SEL competencies. I’m really excited about what I’ve learned about SEL—how I am affirmed in what I already do, equipped to do it even more effectively. I’m building my summer reading list with recommendations from the IFSEL institute. I’m imagining students coming to me in 10 years’ time with that much more SEL teaching already under their belts—how excellent their intrapersonal, interpersonal, and problem solving skills will be. And my students…well, they’re working on their “Who Am I?” papers. For many years that’s been our response to A Doll’s House: Nora ended up in a tough place because she was never asked to answer that question for herself. So I’m asking my 10th graders to begin to answer it now so they won’t end up in Nora’s position. What have you learned about social and emotional learning that excites you about the potential for yourself, your community, or our young people’s potential? “We should make a speech to kindergarteners because they have such short attention spans, we could make a really short speech—just get up and say, ‘Love your neighbor as yourself,’ and then sit down!” This was the idea some of my 11th graders floated when I told them they could make up their own occasion, audience, and purpose for a speech on the topic of community. When the writing audience and occasion are as real as possible (even though it’s totally hypothetical), writing questions, learning, and understanding become correspondingly real. It also helps when writers have as much choice as possible, when I provide targeted instruction and models in mini-lessons, and when I confer with students to help them apply that instruction and modeling. 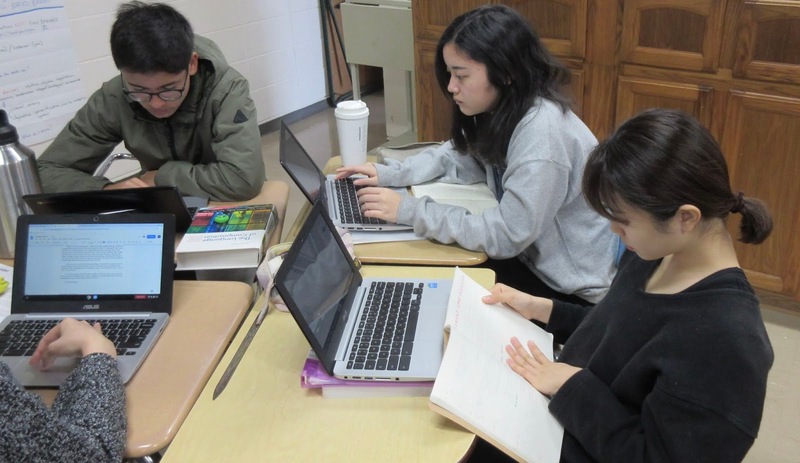 As AP language students wrap up the quarter’s unit on The Individual and Community, the assignment is to write a speech about why and how to create stable communities—specific occasion, audience, and purpose to be chosen by the student. Some have chosen to address 8th graders in transition to high school, others their class at graduation in a year and some. One student is addressing colleagues about workplace community. Where and why to place a thesis, depending on how interested or hostile an audience is. Using stories and analogies for ethos, pathos, organization, and making it memorable. How to connect with an audience and acknowledge an occasion in the opening lines. Student: I don’t really have a specific audience. This is general information that is relevant to anyone. Me: But if it is relevant to anyone, it is also personal to no one. Picking an occasion, audience, and purpose help you personalize. The topic of community may be applicable to kindergarteners, middle schoolers, young moms, business executives…but how do you get a kindergartener’s attention vs. a business executive? Student: It’s getting so long—there’s so much to say on this topic! Me: If we shift the focus from what you want to say to what your audience needs to hear, understand, and/or do, then it’s easier to think about what length and content will most help them do that, and what will become counterproductive with attention span, lunch next, etc. Student: Do we have to do citations? Me: How will that serve your ethos with your audience? 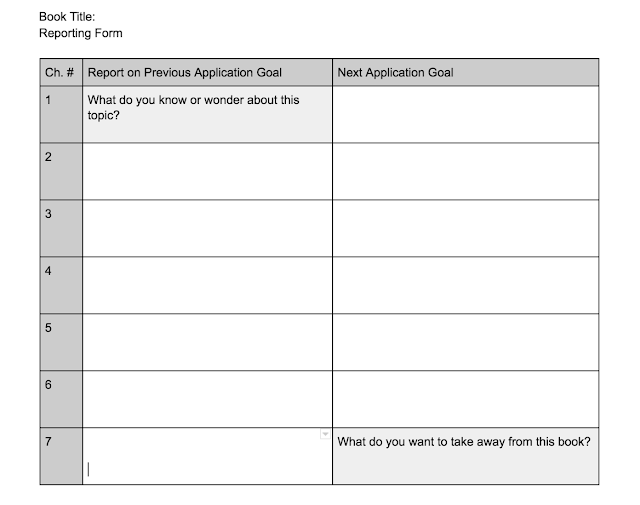 Student: If I have my thesis at the end, do I have to have 3 points? Me: Remember “The Danger of a Single Story”? One point with many illustrations. Remember the student sample analogy with 2 points? Three is just a general guideline. If you have a reason, you can always vary. It’s the Mary Poppins moment when I feel my work is complete: These guys know they have each other for their writing community, and they know the questions to ask to get the answers they need to make their writing even better. "The only books I have ever liked are the Diary of a Wimpy Kid books." The middle school boy grinned unabashedly as he delivered this announcement. I’d sidled up to him during sustained silent reading time and whispered what I’d noticed the last several weeks as I’d visited his class: one time he was flipping through the Guinness Book of World Records, one time he’d never moved off the first page of a YA romance, and this time he was looking over a friend’s shoulder at different book. That was a significant piece of information he had offered me, whether he knew it or not. "Our library has a lot of Wimpy Kid books," I came back. "I’ll go get one for you." "Okay. Just not, like, 1 - 6 because I’ve already read them." I came back a few minutes later with number 8, and I think I detected a sparkle in his eye as he opened to the first page. I told him that the library had through 13, and when I came to reading time next week, I expected to see he’d made some progress—or maybe even had moved on to book 9! I quietly explained about our 2 reading voices—the reciting voice that sits on one shoulder and reads the words in the book and the responding voice that sits on the other shoulder and reacts to the words. How we have to make sure that both voices are interacting. When the reciting voice takes over and the responding voice shuts down, that’s when we realize we’ve turned 3 pages and have no idea what was on them. On the other hand, when the responding voice takes over and the reciting voice shuts down, that’s when we make a connection to the book and then forget the book and get lost in the connection. “Oh! a forest! That’s like when we went camping last summer. That was so great! There was a river, and a campfire, and we caught fish and cooked them….” And 5 minutes later, we haven't turned a page. He grinned ruefully and nodded in recognition. And we all picked up our books to read some more. That was a pretty good period. Plus the girls who’d asked me at the beginning what I was reading, giving me the opportunity to tell them about the 2 books I was carrying under my arm: A Single Shard and Bury My Heart at Wounded Knee. My biggest takeaway: Even when I’m not the classroom teacher—just the crazy reading lady who sits in their room and reads with them for 5 or 10 minutes every Thursday afternoon and has book posters plastered all over her classroom door and a stack of books next to it every Thursday morning—if I persist in being crazy enough long enough, I become a harmless part of the environment, and even okay to talk to! Keep reading, loving, and sharing books. The students notice. They really do. P.S. For more about monitoring the reciting and responding voices and using fix-up strategies when meaning breaks down, see Cris Tovani's books I Read It But I Don't Get It: Comprehension Strategies for Adolescent Readers and Do I Really Have to Teach Reading? Content Comprehension, Grades 6-12. For more about our sustained silent reading program, see last week's blog here: "Cultivating a Culture of Reading with Sustained Silent Reading." Couldn't get all 3 readers in the same shot, but here's 2 of them! Here’s something that made my heart happy: One morning before school recently, wandering the high school locker area, I saw 3 students deeply immersed in books. Is it because of the sustained silent reading program my school instituted nearly 2 years ago? I don’t know, but I’ve had locker bay duty every Thursday morning for the last 4 years, and this was the first time I’ve seen more than one student reading. I wrote in the fall about cultivating a culture of reading by modeling, sharing, and encouraging reading. At my school, a dedicated 35 minutes a week for students and teachers to read and share their reading is certainly a piece of this. I’ve been thinking recently about what I’ve learned growing this program as curriculum coordinator. I chose that word “growing” intentionally. It isn’t a Field of Dreams deal: if you build it, they will read. As with anything else that has to do with culture, skills, and values, it takes more than information and rules. It takes a long, positive pressure in the same direction. I’m not sure whether the reading period sustains a culture of reading, or a culture of reading sustains the reading period; it’s definitely symbiotic. However, here are some of the keys I’ve found along the way to helping a sustained silent reading period be effective. When teachers have bought in to the culture of reading, they read with their students (the primary indicator of whether a sustained silent reading program will be effective). What they read doesn’t have to be fiction: teachers need to model vigorous real-life adult reading identities. I love to see the variety of books they read—for professional development, for personal growth, for curiosity, for role models, for enjoyment. Some read because they haven’t yet found the book that turned them into an avid reader, but they haven’t given up. In fact, this may be the most important reader identity to share with students in a similar situation. Teachers who have a reader identity share it with their students in tangible and intangible ways, fostering conversations about reading, searching for ways to engage disengaged readers. Additionally, I personally model my value for and use of the sustained silent reading period. This semester I’ve committed to spending 70 minutes every Thursday to just sit and read in every room for about 5 minutes each. (High school and middle school have their times back to back rather than simultaneously.) I’m not there to check up on anybody—just as fellow reader, showing how I use and value the time. As I do that, I’ve had some delightful moments. One time a trio of boys seemed to be poking each other and giggling. Seeing they had attracted my attention, one of them pointed to a word in his book and whispered, “Mrs. Essenburg, what is jolt?” Ah. Yes. They weren’t making trouble—they were attempting to provide a vocabulary lesson! How does your school cultivate a culture of reading? Do you have school wide sustained silent reading? If so, do you have any success stories or helpful hints to share? P.S. My chief source for research on the impact of sustained silent reading is Free Voluntary Reading by Stephen Krashen, and my chief source of mini-lessons on reading reasons is Reading Reasons by Kelly Gallagher. “How do you make sure the questions are good?” A colleague asked me this when I shared my daily Scarlet Letter reading tool of 1 drawing, 1 quote, and 1 question per chapter. (See last week’s blog [here] for more about the drawings.) I didn’t have an answer at the time because it didn’t seem to be an issue--the just were good, but I’ve been thinking about it ever since. I suspect it has something to do with modeling, a bit of competition, acceptance that there are a variety of types of questions, and a lot of practice. What do evanescent, physiognomy, and heterodox mean? Who is the baby’s father? Why did she stay in Boston? Craftsmanship? or fear? Is the servant not informed of the scarlet letter? What does the sunshine represent? Why did Pearl like Dimmesdale when she didn’t like Wilson (or anyone else)? What is a sexton anyways!?!? What is on Dimmesdale’s bosom? Does Chillingworth know Dimmesdale’s secret? When is the “another time”? Will Dimmesdale reveal his identity as Pearl’s father, or will another person reveal it? What are Hester’s motives behind her service? What is Chillingworth’s real name—Prynne? Why would Hester’s first lie (about the A) be to her own child? What is the significance of the sun? Do Hester and Dimmesdale love each other? Will they end up like Romeo and Juliet? Will Dimmesdale get healthier in his new life? What caused Hester to change her mind and throw the scarlet letter away? Why does Pearl keep pushing the A? What change in Dimmesdale did Pearl dislike? Is running away the right choice? What IS Dimmesdale’s true face, and what does HE think is his true face? How did Chillingworth know Hester, Pearl, and Dimmesdale had passage on the ship? What is his motive in following them to Europe? What is his plan? Why was Dimmesdale treated differently than Hester? When did Dimmesdale make up his mind? Where did Pearl go? Did they repent enough to be able to go to heaven? Modeling is always an important place to start. I modeled my own drawing, quote, and questions on the first chapter. Next, I think, is a modicum of healthy competition with the other group members (each of the 3 or 4 came with their own question, and they chose one—or sometimes came up with a new one—for the group poster) as well as with the other groups. After all, no one wants to be the one with the stupid question—stupid meaning showing, requiring, or instigating little thinking. This has to be balanced with the understanding that there are many different types of questions. The worst ones are the ones not asked—and sometimes literal questions about information missed or misunderstood or found confusing are important questions. Some questions can be answered within the text—looking back or waiting. Some questions can be answered outside the text by consulting another resource or authority. Some questions are just meant to be mulled over, to prompt deeper thinking and more questions, or a personal answer. I listed all the big questions the students brought to the final discussion on the whiteboard (see top of the page), told them I was available to answer questions addressed directly to me, but other than that, the time was theirs to work on the questions they wanted to address.